Vita START by Plagron is a liquid growth stimulator for seedlings, cuttings and mother plants. Vita Start has a wide range of activity. It makes for a great and strong root system, good resistance and accelerated absorption of nutrients. It shall also provide a faster cell division and more branches and shoots, making the number of cuttings per mother plant increases considerably. Vitamine spray for seedlings, cuttings and mother plants. Organic NPK fertilizer (6-0-5). 6.3% Total nitrogen (N), of which 6.3% organically bound nitrogen, 4.8% water-soluble potassium oxide (K 2 O). 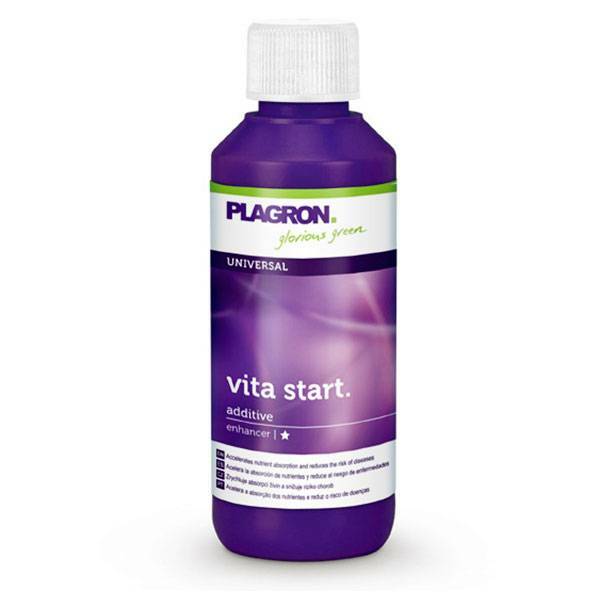 Vita Start add 1 ml per 1 liter of water (1: 1000). Spray the plant weekly dripping wet with this nutrient solution. After dissolving in water for up to 24 hours stable.